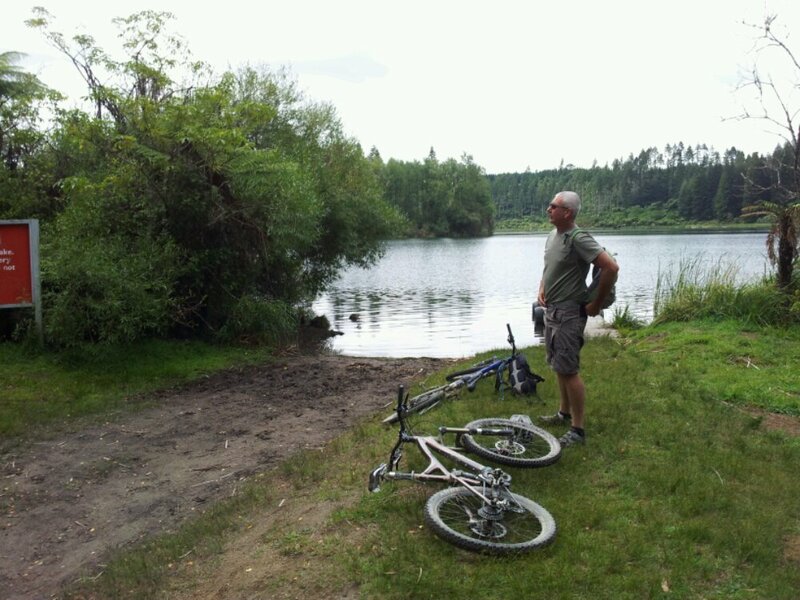 Kerry wasn’t very keen on riding this morning, and it took all my powers of manipulation to make him think he was persuading me to ride around Green Lake near Rotorua. He was a bit disappointed that high growth of scrub was obscuring much of the view, but I didn’t know any better, so I had a great time. On the way back we rode a few exhilarating hundred metres under Redwood trees, which made me remember just what a great place Rotorua is for biking. John thought he was manipulating me but it was actually the other way round… I got to ride were I wanted to !! Shame about the scrub but this is a great recovery ride.